Tintin Heart: My first card post ! 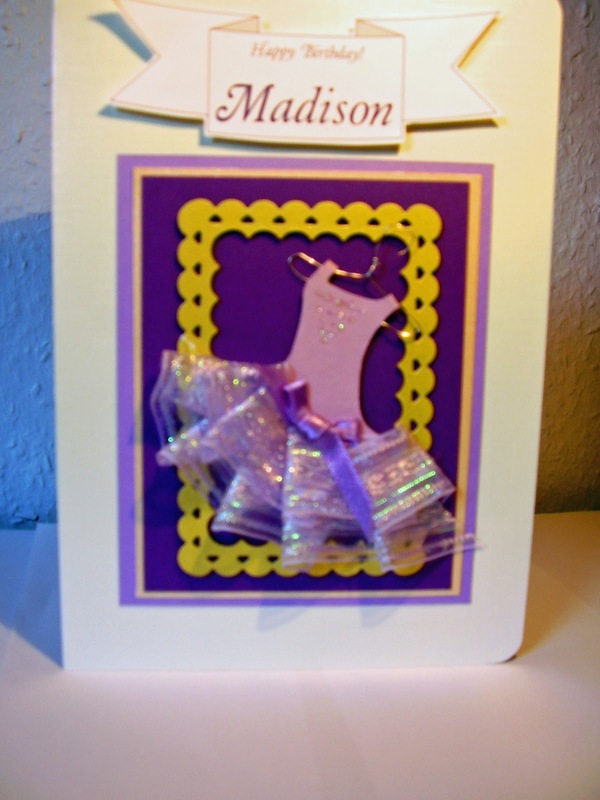 This is a card I made for a friends little girl. 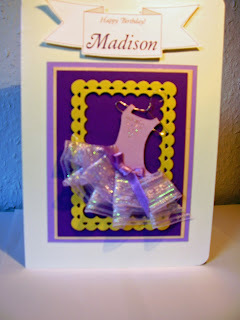 The theme of the party was Ballerinas so I couldn't resist making a girly card with frills and sparkles. I drew the shape of the Tutu and it cut out by hand. I made the frills from some ribbon I already had and finished it of with a satin bow and a few dots of Stickles from Ranger. I used my Nelly Snellen scalloped frames die to create the gold frame and mounted it onto contrasting cardstock and then adhered it to the the cardbase. The banner was created by using my PC.